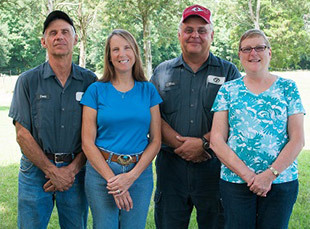 Homeland Creamery is family owned and operated by the Bowmans. They are six and seventh generation farmers who have been raising and milking cows on the same homestead since the 1930’s when their grandfathers’ family started selling “barnyard milk” from a half-dozen dairy cows that were milked by hand. 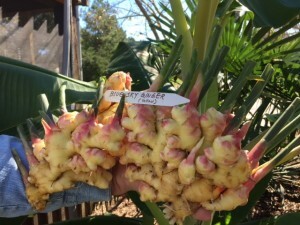 Eastern Carolina Organicx (ECO) markets and distributes wholesale organic farm produce. A sustainable food system is based on providing fresh local produce while protecting the environment and supporting the health and livlihoods of the farmers who grow it. That’s why we run our business with sustainability in mind at every step. 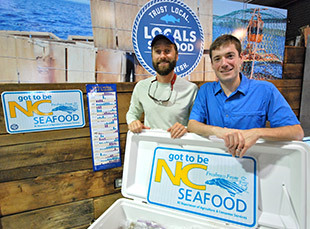 Long time friends, Ryan Speckman and Lin Peterson founded Locals Seafood in 2010 with a cooler full of Stumpy Point shrimp and a pick-up truck. Both Fisheries and Wildlife Science majors from NC State University, their love for the coast, the outdoors, and good seafood started early. Locals Seafood is dedicated to delivering the freshest possible seafood from North Carolina fishermen to the Triangle area. They have come a long way from the truck tailgate, and both are dedicated to sharing their knowledge and passion for North Carolina seafood. 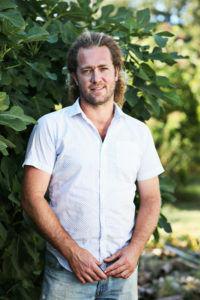 Adrian Thorn started Brae-Burn Farms in Pittsboro, NC with his father in 2008. This Father-Son farm has been producing a variety of produce from asparagus to zucchini but their main focus is heirloom tomatoes. With an amazing array of color variations, Adrian’s heirlooms have spread to the top echelon of the culinary scene. We use his tomatoes to make Green Pico de Gallo salsa, white tomato sauce, sliced in salads, and even in tabletop presentations. Endless Sun Farms consists of two hydroponic greenhouses focused on growing pesticide-free herbs and salad greens year-round in Raleigh. 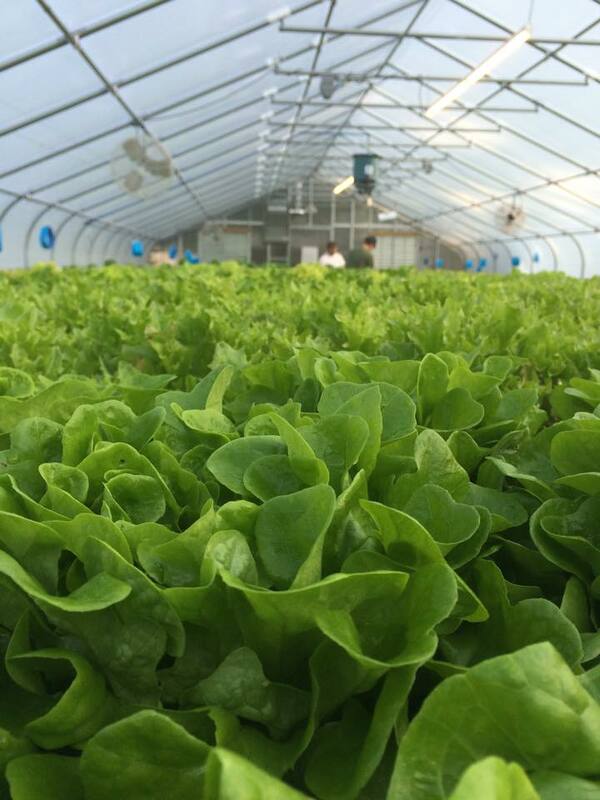 Founded by North Carolina State University Alumni and Raleigh natives, Chase Werner and Matt Spitzer, ESF aims to meet the fresh produce needs of the ever-growing Raleigh community. We use these greens for salads, lettuce wraps, and on sandwiches. Since it’s inception in 1994 Blue Sky Farms continues it’s humble journey in partnership with the finest restaurants in the triangle. Blue Sky Farms modus operandi is no secret. We simply provide the highest quality produce, ethically produced as close to home as possible, prepared and delivered by a long time staff of caring people I consider my friends and family. 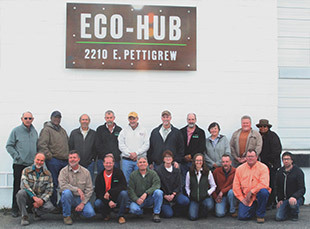 Our mission statement is and continues to be: “Growing with Nature in Mind”. We work with our local chefs to explore the changing and diverse palate. This year we added Organic Baby Seed Ginger to our growing list.on sandwiches. Green Planet utilizes many different items from Blue Sky including: Peppers, tomatoes, greens, root veggies, ginger and specialty herbs. 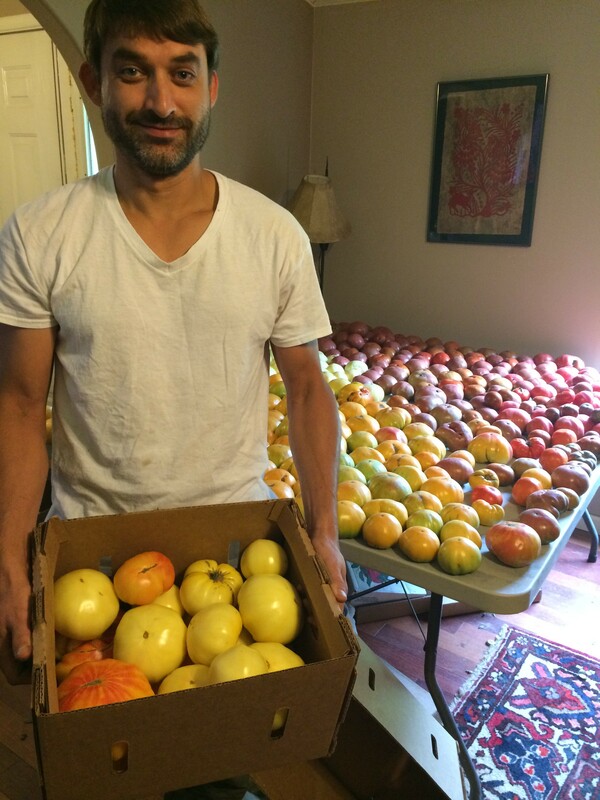 James Edwards is a farmer-chef who runs an urban farm in the heart of Downtown Raleigh. Currently, he farms at Raleigh City Farm which is located at the corner of Blount Street and Franklin Street, only blocks from our restaurant The Pharmacy Cafe. For the past 18 months, James has offered his locally-grown produce to restaurants and chefs. This year, he is expanding his offerings to include the Neighborhood Produce Share. His hope is to give individuals and families in Raleigh a way to live more locally, taste greater flavors, and eat healthier. Locally owned and operated in downtown Raleigh, North Carolina, Sweet Peas Urban Gardens plants, cares for, and harvests microgreens organically using the most environmentally sustainable methods. 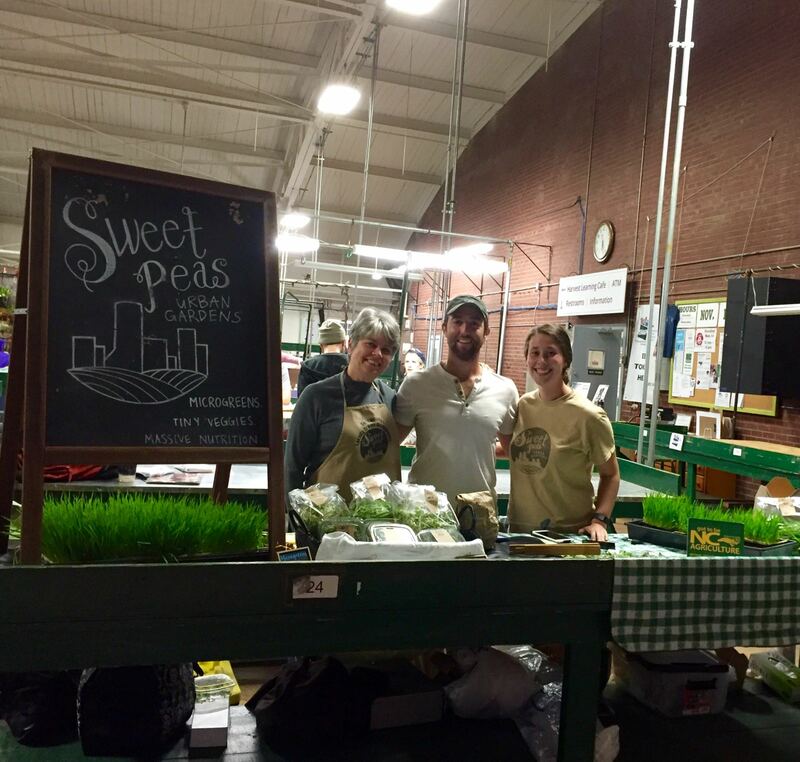 Sweet Peas provides microgreens to local chefs, farmers’ markets and fresh produce delivery services in the area. We offer many varieties and mixes that are sought after by chefs for both the visual and the culinary diversity they bring to the plate.